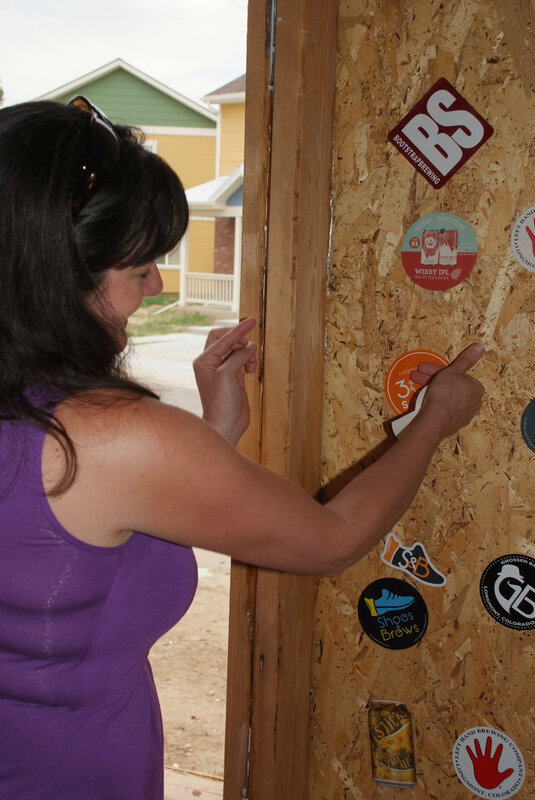 Celebrating their collaborative industry and shared community commitment, 12 local craft breweries and associated businesses are teaming up to build a Habitat home in Longmont for and in partnership with the Robles family. The breweries broke ground on the 2nd House that Beer Built in Summer 2018. Throughout the entire process, there will be various fun events at each of the participating breweries that benefit the construction of the home. Your attendance and support will be crucial to this new project's success. This is your opportunity to drink beer for a good cause! This project was first created in 2013 by Fort Collins Habitat for Humanity, in partnership with their local craft breweries. 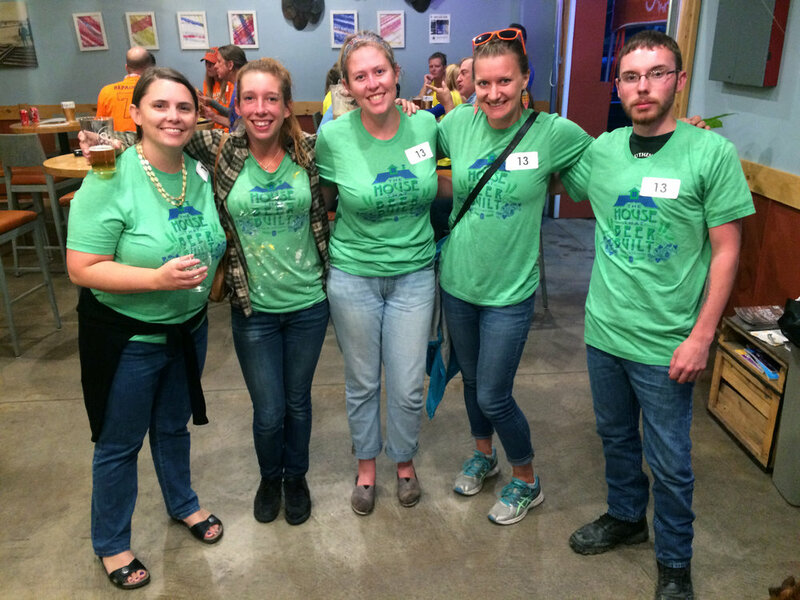 It was so successful and fun that St. Vrain Habitat is now building a second House That Beer Built with even more breweries engaged (as the industry just keeps growing in Northern CO)! Alejandra Robles and her sons. Alejandra is a mother of two—a three-year old and a full-time college student. They live in 600 sq. foot, second floor apartment, inconvenient for the younger son who requires in-home therapy. Becoming a Habitat homeowner will provide stability and the confidence that comes with being part of a community. Through a Habitat home, Alejandra will have the ability to plan for her family’s future and the capacity to help others in the community grow. Join us on Tuesday, August 7th from 4-10p.m. 10% of food sales will support House That Beer Built. This is a cash only bar. Hosted by Longs Peak Pub. Join us for the Outlaw Country Jamboree on Sunday, November 11th from 1pm-6pm. Come listen to music by Longmont faves and Front Range artists, drink prize winning beer, and enjoy the groovy community. Proceeds from pints sold will benefit House That Beer Built. Hosted by Longmont Bootstrap Brewing. Drink beer. Eat pizza. Do good. Join us on Thursday, August 16th from 6-9p.m. for our kickoff party for House That Beer Built. Proceeds from select beer sales and silent auction will support House That Beer Built. Featuring beers from participating breweries. Hosted by Parry's. Join us at Brewmented for the Beer Release of the Bandit Smoked Porter on Friday, November 16th at 4pm. $1 of every pint will be donated to House That Beer Built. Join us on Saturday, October 13th from 2-7p.m. in the parking lot of 300 Suns Brewing for a retro-themed event that celebrates women owned businesses with proceeds to benefit House That Beer Built. It will be a retro themed event with 30+ vendors, fashion show, swing lessons, rockabilly band, spa row for ladies to get pampered, food and drinks. This event is for everyone (not just the ladies). Hosted by 300 Suns. House That Beer Built fundraising events.